While most people are gearing up for Valentine's Day which is right around the corner, others are busy celebrating the days that lead up to it. Yes, as most of you might be aware, on the few days leading up to Valentine's Day, beginning from February 7th people celebrate Rose Day, Kiss Day, and Propose Day etc. However, one day that does stand out is the Hug Day which is celebrated on February 12. Apart from making you feel really good, hugs can also stand for an expression of love. They can help make people understand how important they are to you. And it's a given that after a long, tiring day, a hug is all you need to feel calm and loved. 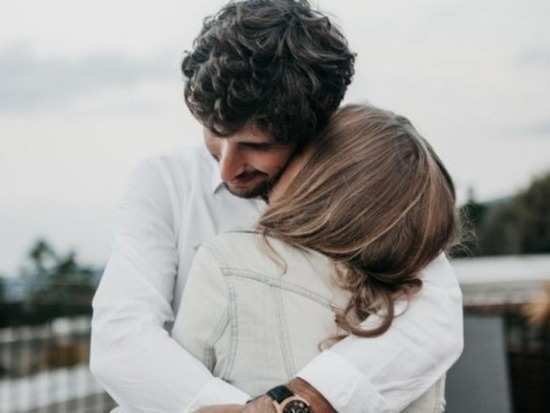 Researchers have even found that hugs can work as natural stress relievers and help build trust and honesty in a relationship. The one most important significance of celebrating Hug Day is to show your partner just how much you love them. Hugs can even help increase oxytocin levels in the body which means they can heal feelings of loneliness, isolation, anger, frustration and the likes of them. So, while getting a hug may make you feel physically better, turns out it can work wonders in elevating your mental well being too. Plus, it can help balance your nervous system as well. So, now that you know how important hugs are, go give all your loved ones a big hug to show them how important they are to you. Stay tuned for more updates. 6Can fasting play a role in boosting metabolism? 8Did you know that just like Valentine's Day there's also a Galentine's Day? 10Has #MeToo changed how we dress for work?